We’re a little behind on letting everyone know who the winners are, but last week was the end of our iPod nano giveaway. After pulling all the entries for the giveaway, Random.org chose Trekaroo member, Jeff Legato as the lucky winner! He’s a Central Coast expert and has lots of tips on where to take kids. Some of his picks include the Sunset Drive-In and the San Luis Obispo Children’s Museum. He decided on the fabulously green iPod nano to add to his pile of gifts beneath the Christmas tree. Thanks to everyone who participated in this giveaway. 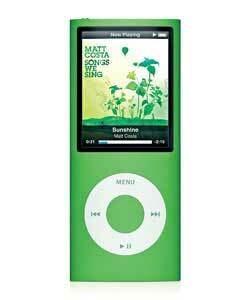 Maybe one day we’ll be able to give iPod nanos to all of our members for the holidays. Here’s to big wishes.